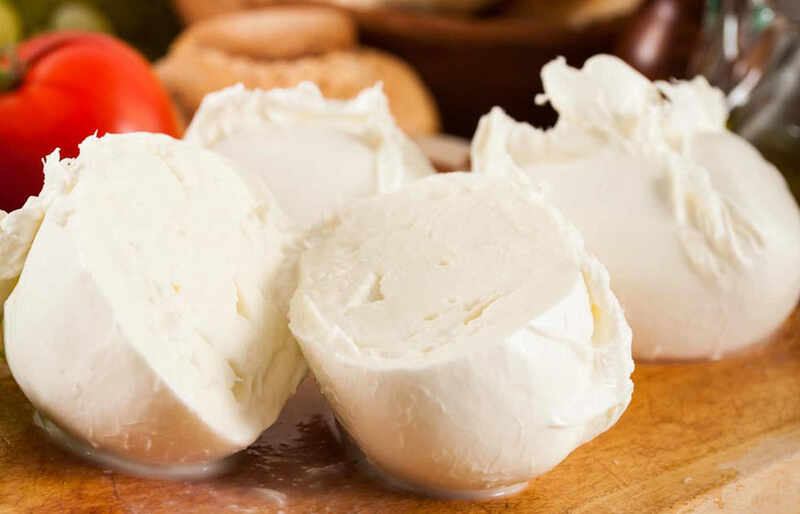 Mozzarella, scamorza, scamorzone, burrata, caciocavallo, provolone and giuncata are the names of the delicious products, which are part of the long-standing dairy tradition of Gioia del Colle. Located in the province of Bari, Puglia, Gioia del Colle is world-renowned for the production of Primitivo wine and dairies, such as mozzarella, scamorzone, scamorza, burrata, caciocavallo, “canestrato” hard cheese and giuncata. Cheese production increased when the Bruna Alpina cattle breed was introduced from Valtellina (the northernmost area of Lombardy, northern Italy). However, it was not until the mid 20th century that mozzarella et al. began crossing the regional borders to the rest of Italy. Today they are considered an essential trait of the identity of the territory and in 2013 a group of local cheesemakers created the Consortium of the Gioia del Colle Cheesemakers. Mozzarella is a pasta filata (stretched-curd) cheese that comes in different shapes and types, namely treccia, tonda and nodino. It is made with raw cow’s milk, whey starter, rennet and salt. 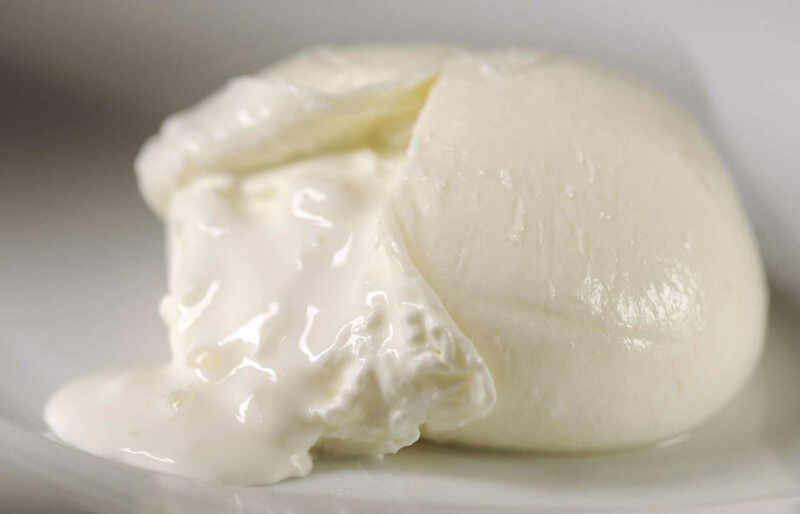 With a short shelf life, mozzarella is a delicate, nutritious and digestible cheese, rich in organoleptic properties. Mozzarella is believed to have been first produced in the 16th century on the farms that dotted the woods of the Murge plateau (between Puglia and Basilicata). Its name comes from the verb mozzare, “to cut”, because the curd, obtained from milk coagulated at 36°C, is separated from the whey, left to ripen and then cut into strings, boiled, cut again, shaped and dipped in salted cold water. Scamorza is fresh stretched-curd cheese, made with whole cow’s milk, which differs from mozzarella for its firmer and drier consistency. Burrata is more similar to mozzarella, albeit much softer and stringier and with a sweeter, buttery taste. Burrata is made by hand, by mixing fresh cream and stracciatella (shreds of cheese) and wrapping them in a solid mozzarella shell. Caciocavallo is semi-hard stretched-curd cheese, with an either oval or truncated-cone shape, a hay-yellow rind, an even paste and a mild flavour that intensifies as the cheese matures. 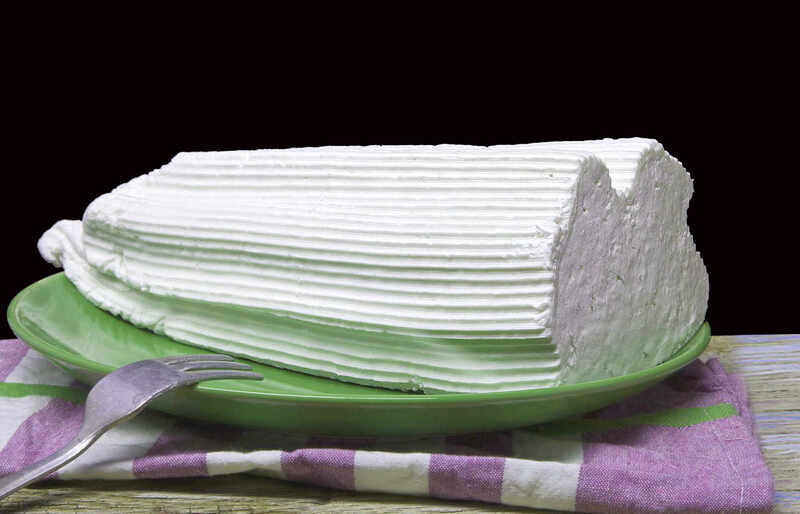 Finally, giuncata is a typically Southern fresh cheese, with a sweet and delicate taste.